A group trying to get a redistricting measure on the November ballot says arguments against the measure by the state Attorney General are redundant. 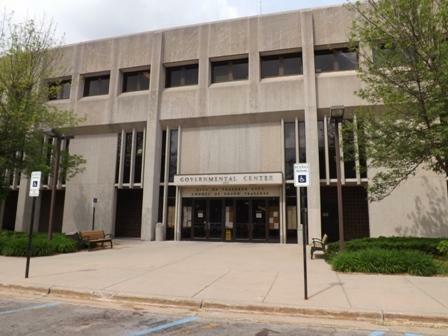 The search for Grand Traverse County’s next leader is down to two candidates. County commissioners will choose between a local law enforcement officer and a former state representative from Bay City. The commission has been searching for a new administrator since the surprise resignation of Vicki Uppal in January. With the help of a consulting firm, the commission has named two finalists for the job – Nate Alger and Thomas Hickner. Medical experts in Michigan say reducing the stigma of HIV is key to stopping the spread of the disease. People who want a license to grow or sell medical marijuana in Michigan have yet more uncertainty to deal with when it comes to getting licensed. Stateside's conversation with reporter Chad Selweski. Macomb County Clerk Karen Spranger took office in January 2017, and there's been non-stop drama surrounding her ever since. That drama hit a new high Tuesday when a judge ordered Spranger to be removed from her post. Taking her place will be Kathy Brower, a long-time Macomb County employee. A judge appointed her temporary acting county clerk today. 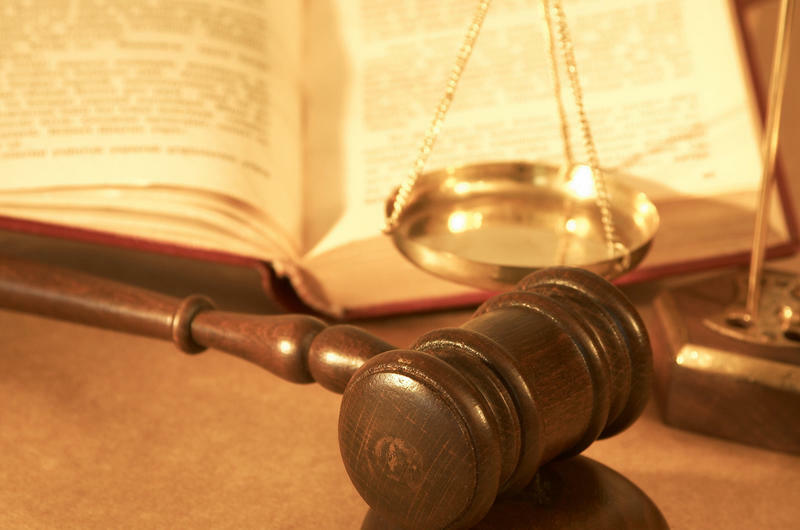 Local courts resubmitted their proposals after the Michigan Indigent Defense Commission rejected most of the funding requests back in January. This time, most of the re-worked plans won board approval. Judge Thomas Boyd is a commission member. He said the need to ensure adequate representation is so great, the board must make sure none of the money is wasted. Stateside’s conversation with Paul Elam, president of Public Policy Associates, and a specialist in juvenile justice. Governor Rick Snyder has suggested Michigan should restructure the state’s juvenile justice system. However, little has been done. Paul Elam, president of Public Policy Associates and an advocate for juvenile justice, recently wrote an opinion piece in Bridge Magazine, which indicated the youth in the juvenile justice system don’t have the luxury of time. Stateside's conversation with Abdul El-Sayed, Democratic candidate for governor. Despite recent chatter concerning Democrat Abdul El-Sayed’s eligibility to run for governor of Michigan, the doctor and former Detroit health director remains confident. “We’re 100% confident that I’m eligible to run for governor and to serve as governor of the state,” El-Sayed told host Cynthia Canty. 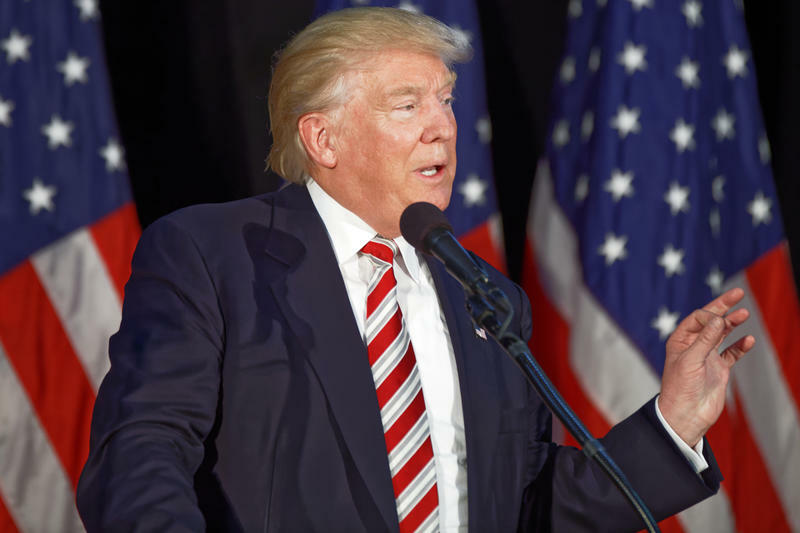 Stateside's conversation with Zach Booker, a Hudsonville entrepreneur attending President Trump's first State of the Union speech. Hudsonville entrepreneur Zach Booker will be at the U.S. Capitol tonight when President Trump delivers his first State of the Union speech. Booker is a fourth-generation barber and the guest of Republican Congressman Bill Huizenga. He joined Stateside from Washington D.C.
Stateside's conversation with Joel Kurth of Bridge Magazine. Dr. Abdul El-Sayed wants to become Michigan's next governor. The Democrat's bid has attracted attention from around the world. The British newspaper The Guardian has dubbed him "the next Obama." And recent polling shows El-Sayed is the strongest competitor to Gretchen Whitmer for the slot of Democratic front-runner. Stateside's conversation with Rick Pluta and Zoe Clar, co-hosts of It's Just Politics on Michigan Radio. On Tuesday evening Michigan Gov. Rick Snyder outlined his plans for the state during his last year in office. 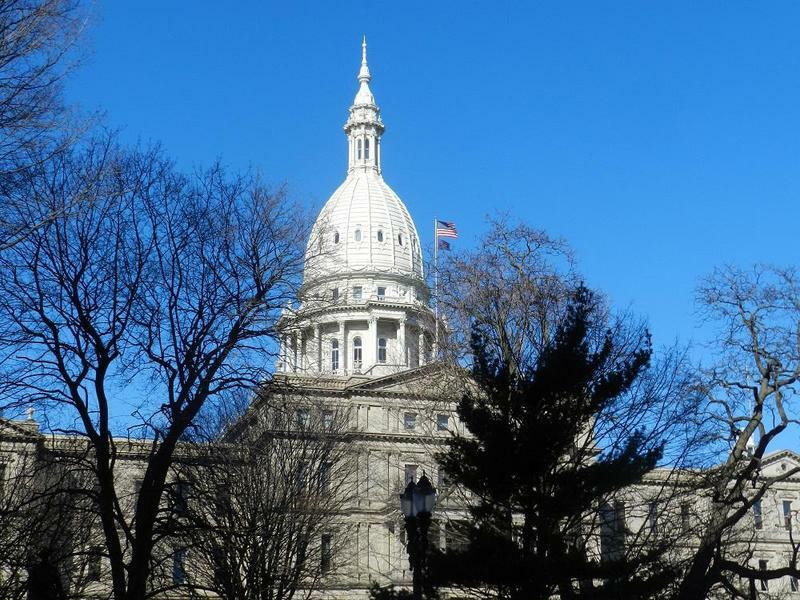 Michigan Radio Capitol Bureau Chief Rick Pluta and resident political junkie Zoe Clark joined Lester Graham for a conversation about his State of the State address. 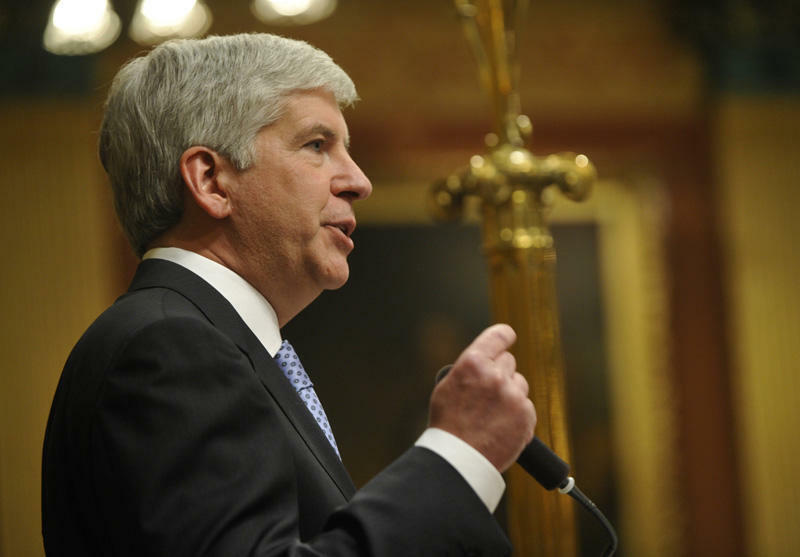 As Snyder prepares to deliver last State of the State, just how is Michigan faring? Stateside's conversation with reporter Ron French. 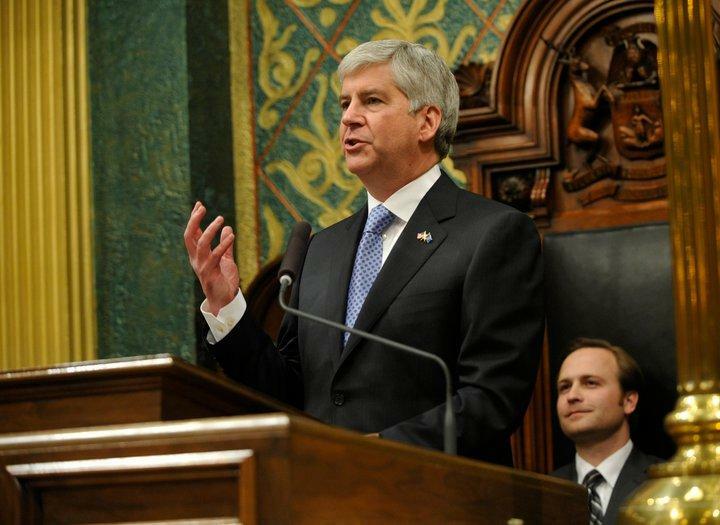 Tonight, Michigan Governor Rick Snyder will deliver his annual State of the State address. Because of term limits, it will be his last. You can watch the speech here tonight. You’ll also hear lots of analysis afterward, and on Stateside tomorrow. Law professor says AG Bill Schuette has failed consumers. Schuette strongly disagrees. Stateside's conversation with Mark Totten, a Michigan State University law professor. He ran on the Democratic ticket against Schuette in 2014. One of the key roles of a state attorney general is protecting consumers. A guest editorial in Bridge Magazine today accuses Michigan Attorney General Bill Schuette of a weak track record of consumer protection. Stateside's conversation with Jeff Guilfoyle, a vice president with Public Sector Consultants and former director of the Office of Revenue and Tax Analysis in the Michigan Department of Treasury. The new federal tax bill could mean lower federal taxes, but Governor Snyder and some economists say that it could lead to higher state income taxes. That’s stirring up fresh talk in Lansing about cutting Michigan’s personal income tax to cushion the effects of the federal tax reform. 2018 feels like a monumental year in politics. Which way will Michigan voters swing? What will this New Year bring in Michigan politics? To answer that question, Stateside turned to Michigan Radio’s It’s Just Politics team, Zoe Clark and Rick Pluta. They discussed the political stories likely to surface in 2018, including the upcoming election and how Washington might influence state politics this year. The governor has a stack of bills aimed at combating the opioid crisis headed to his desk. Lawmakers in the House and Senate passed bipartisan legislation Wednesday. A major goal is limiting the amount of opioids available to people who don’t need them. Senator Steve Bieda (D-Warren) sponsored a bill in the package. That bill is aimed at curbing “doctor shopping.” It would require patients have a bona-fide relationship with a doctor who prescribes an opiate. Democratic lawmakers are trying once again to repeal the state’s “Right to Work” law. Five years ago, a Republican-led Legislature made Right to Work the law of the state. It prohibits contracts that make union membership a condition of employment. Democrats say letting people opt out of unions gives them a free ride to the benefits of the union. 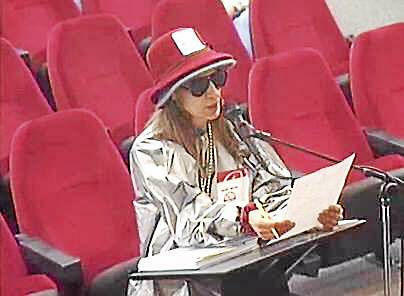 Senator Hoon-Yung Hopgood (D-Taylor) is a bill sponsor. He said strong unions are important to Michigan, but Right to Work diminishes the power of unions and reduces the number of members. 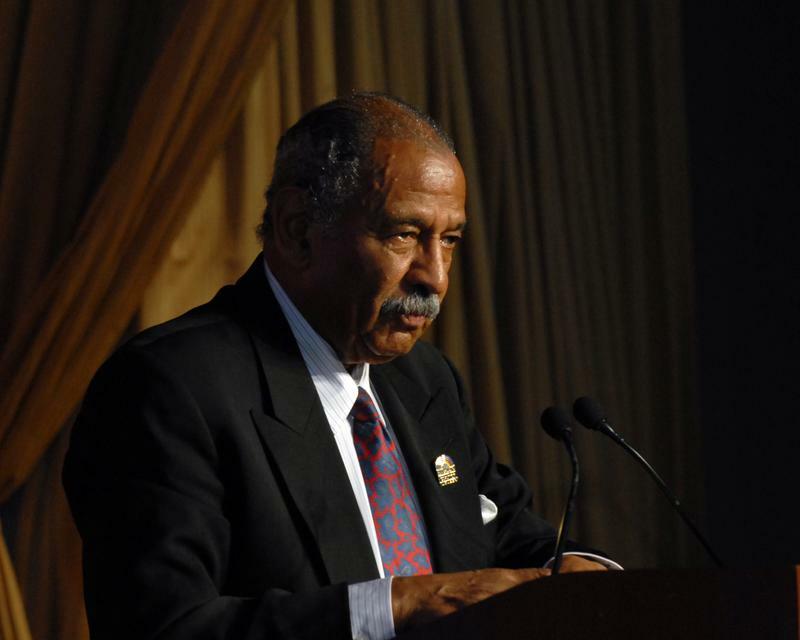 Who might run to replace Rep. John Conyers in Congress? Stateside's conversation with Zach Gorchow, editor of the Gongwer News Service, and Rick Pluta, Michigan Radio’s Lansing bureau chief. Since John Conyers resigned Tuesday from his 13th District Congressional seat, which he held for 53 years, the race is shaping up to replace him. 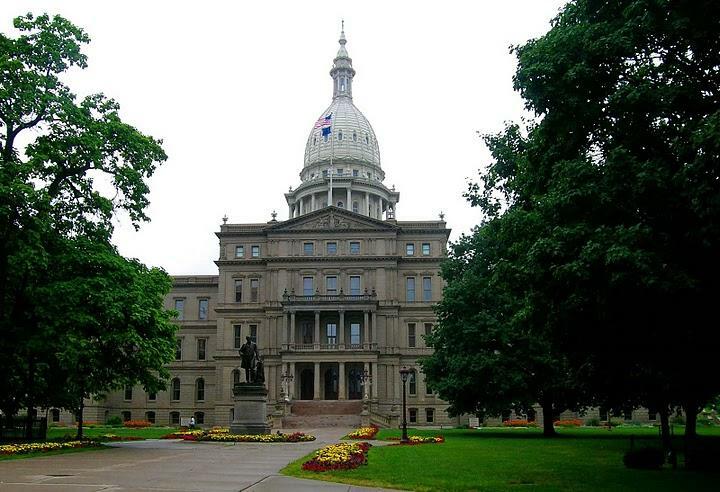 Zach Gorchow, editor of Gongwer News Service, and Rick Pluta, Michigan Radio’s Lansing bureau chief, joined Stateside to discuss who’s lining up to succeed the former dean of the House. Stateside's conversation with Macomb County Commissioner Leon Drolet. 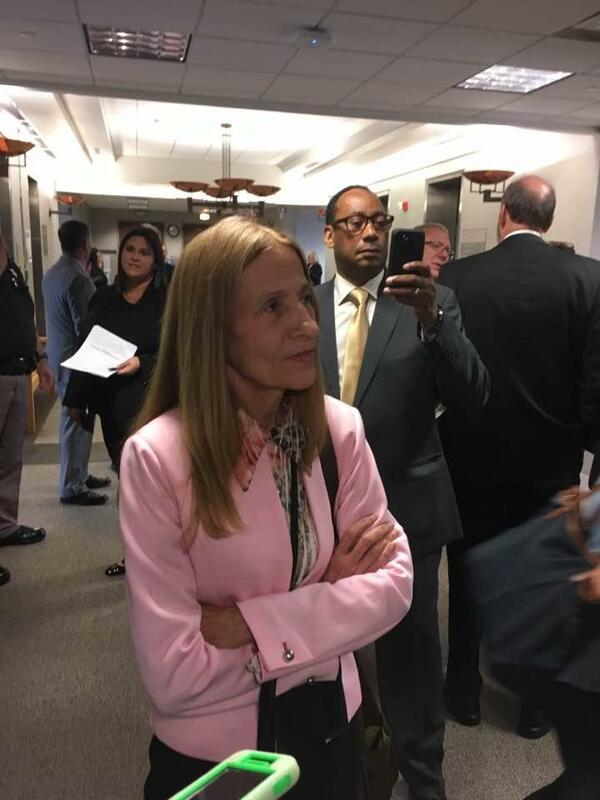 Macomb County Commissioners are turning to a rather obscure state law to help them get the county clerk's office back on track, and possibly remove County Clerk Karen Spranger. The commissioners hope this state law will force Spranger to answer questions about the way she's running her office, and about the many problems that have piled up since the Republican clerk took office in January. Macomb County Commissioner Leon Drolet joined Stateside today to give us the latest. Michigan’s 0.08 percent blood-alcohol level is set to expire next year. But a bill is on its way to the governor’s desk to prevent that. Once in a while the state’s BAC level essentially expires. The law has a built in sunset that requires the Legislature to look at the level and consider changing it. But bill sponsor Klint Kesto (R-Walled Lake) says the current level is good for Michigan and it needs to stay. “I think it’s good for public safety, I think it’s good for road safety, and I think it’s good for the safety of all our Michigan families out there,” he said. The ranking Democrat on the US House Oversight Committee wants to subpoena Governor Rick Snyder. Rep. Elijah Cummins (D-MD) says the governor has not been forthcoming about when he first knew about a fatal outbreak of Legionnaire’s disease in Genesee County. Pat Miles is a former US Attorney for Michigan’s Western District. He was appointed to the US Attorney post by President Barack Obama. He voluntarily resigned when President Donald Trump took office. Trump’s election was a driving force behind Miles’s decision to run, he said. “We need somebody who will be an independent watchdog and who doesn’t answer to a president, a governor, or to corporate special interests, but only answers to the people,” Miles said. Stateside’s conversation with James Blanchard, a former governor of Michigan. Gretchen Whitmer is one of the most well-known candidates among the Democrats who are vying to become Michigan’s next governor. The former state Senate minority leader is viewed by many as a front-runner in the race. Now James Blanchard, former Michigan governor, is endorsing Whitmer as his choice for the position. Several ballot proposals for Michigan’s 2018 election crossed a hurdle Thursday. The Board of State Canvassers approved the form of proposals on earned sick time, marijuana legalization and redistricting. That doesn’t mean the board guarantees the content of the ballots will hold up against lawsuits. But it makes sure the campaign won’t succumb to a challenge in front of the board on technical issues after they gather signatures.